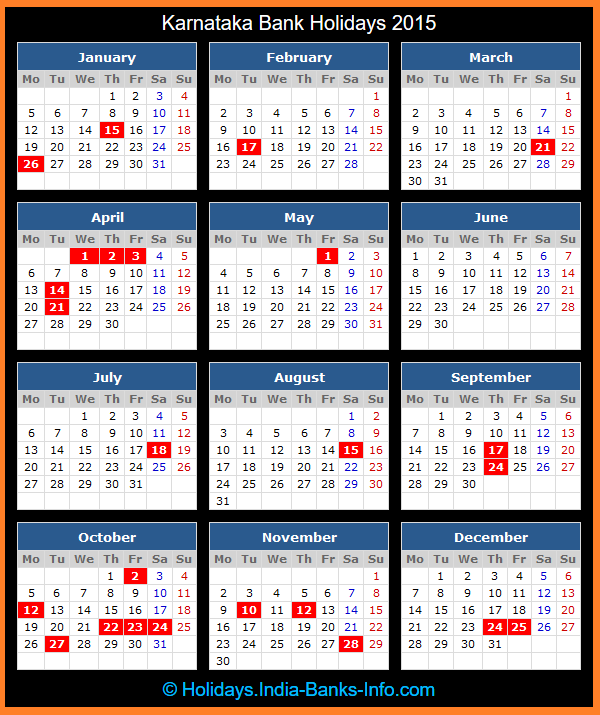 Check bank holidays in Karnataka state for the calendar year 2015. The government of Karnataka declares (No. 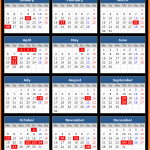 DPAR 54 HHL 2014 dated 15th November, 2014) the following days as the 2015 bank holidays under the N.I. act in the state of Karnataka. This list does not include 4th January, Id Milad and 1st November, Kannada Rajyothsava which fall on Sunday.